The base model comes standard with many features as past models including a tilting/telescoping steering column, eight cup holders, panic alarm, and power windows/locks. 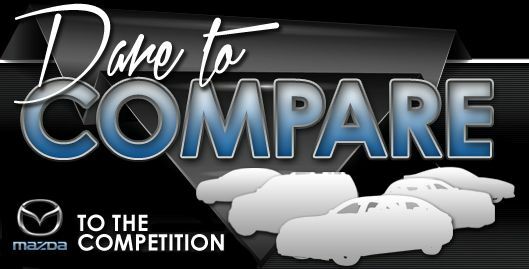 There are four trim levels available, the standard sedan base and Grand Touring sedan. Each edition has a hatchback trim option, just as in years past. The Ground Touring upgrade will afford you enhanced features including a heated steering wheel, power driver's seat, heated front seats, two-zone automatic climate control, illuminated vanity mirrors, and heads-up display. The GT trim model gives you 18-inch aluminum wheels, rain-sensing windshield wipers, power exterior mirrors, a power sunroof, and a nine-speaker Bose stereo system. 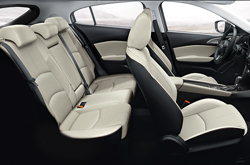 The base engine is a fuel-efficient 2.0 liter four cylinder, while the Touring option has a 2.5 liter four cylinder. The former boasts 155 horsepower with 150 lb-ft of torque, while the latter provides 184/185. A six-speed manual is standard across all models but there is an available six-speed automatic for those who prefer to keep their hands on the wheel. The lesser of the two engines gets the car up to 60 mph in 7.9 seconds, with the 2.5L getting to 60 mph in 7.4 seconds. Fuel economy will be what makes the Mazda3 stand out to its competitors, with 28 city/37 highway mpg. This converts to a combined EPA-estimated 32 mpg*. The more powerful 2.5L has an EPA-estimated 25 city/33 highway mpg*, with an estimated combined 28 mpg*. The 2018 Mazda3 will likely maintain its IIHS Top Safety Pick+ rating from 2017, but this years model brings enhanced safety features. 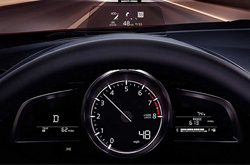 Standard for the 2018 models is automated emergency braking and Mazda's i-Activsense, which include automatic high-beams, lane-keeping, and adaptive cruise control, are now available with the Premium Equipment Package. In past years, i-Activsense was only available as a standalone package. 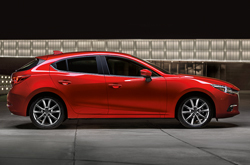 The 5-star safety rating from the National Highway Traffic Safety Administration (NHTSA) will continue to bring drivers to trust the Mazda3 as a safety-conscious choice. 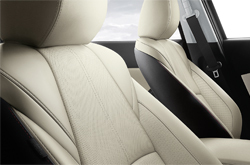 Front and side airbags comes standard, as does blind spot monitoring. There is little doubt that consumers can trust that their safety was kept in mind when Mazda designed this car. What are you waiting for? Find your Mazda3 now!